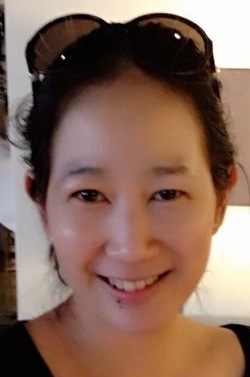 Michele Lai is the Founder of Kids4Kids, an organization in Hong Kong dedicated to empowering and educating youth to make positive change in the world through their actions. She has over 10 years of work experience in Hong Kong and Australia with multi-nationals such as Toyota Motor Corporation, Inchcape and Cable & Wireless HkT in the areas of strategic marketing and planning, Customer Relationship Management and loyalty marketing. Michele holds a Bachelor of Business degree from Curtin University, Western Australia. She is married with two children and lives in Hong Kong. Michele feels very fortunate to be able to give back to the community through her work with Kids4Kids and hopes to continue this ‘volunteering career’ together with her children. Michele believes that the purpose of Kids4Kids is very meaningful because our children are our future, and we need to invest in all of them. Michele Lai: I grew up in Australia and from a young age, my parents always allowed me to make my own choices and decisions, and basically empowered me to be me. I have a Business Degree with a Major in Marketing and Management and really it was during my teen years when I started my own business and put ideas into action that I feel it has made me who I am tofay. I have always been an entrepreneur, someone who can spot good ideas and making things happen. Women LEAD: You are the Founder of Kids4Kids, an organization in Hong Kong dedicated to empowering and educating youth to make positive change in the world through their actions. What inspired you to found Kids4Kids? Michele Lai: After I became a parent, I became very conscious to raise my kids to become socially responsible and to be aware that they are very fortunate and that they can help those less fortunate. I continued my entrpreneurial spirit and spotted good ideas that can be created by kids as I have a guiding belief that you’re never to young to start making things happen. When you are doing something you’re good at and enjoy, and in turn to help others, very likely this action will be repeated, and it goes on. For those of you unfamiliar with Kids4Kids, it is a HK registered charity based on the simple belief that “you’re never too young to help”. Our mission at Kids4Kids is to inspire and empower kids of all ages to use their passion and talents to create, take action and make a difference giving back to the community. Women LEAD: What motivates you to encourage youth to be active citizens every day? Michele Lai: I want my kids to grow up in a world that cares about its people and its environment, and that means developing our youth to be active and socially responsible citizens who are already engaged today in their community to create a better world tomorrow together. Michele Lai: I only started to appreciate the importance of women after becoming a parent. When I was working in the corporate world, I was without kids and would never have understood what I now know that all working mothers are skilled multi-taskers. Women who are mothers and who also manage to balance a career are often under recognized. Working mothers have to manage the household, be a teacher to her kids to build good values, be a wife and also to perform in their career, and all of this expected to be done without missing a beat. So, I think all working mothers are unsung heroes that deserve to be recognized and applauded. Women LEAD: Why does women’s leadership matter to you? As I said, working mothers are amazing multi-taskers that have to balance home and work at the same time. This is like doing two jobs at the same time. It is unfortunate that gender equality still happens when a woman becomes a mother, her leadership abilities are questioned. A person’s leadership skills should not be dependent on whether they are a single, married, with kids or not. We should all be recognized as individuals. This has not been the case and the only way we can help improve this situation is to bring more attention to women in leadership from all walks of life and all corners of the world. Hearing more about what other women are doing will serve to inspire others. Michele Lai: I would say to them that when starting a non-profit, you will be faced with the same challenges of any start-up business such as resources (talent and money), scalability and sustainability. However, the satisfaction of doing social good and creating a positive impact on the community is priceless and will give you a good buzz. When you’re doing good, you feel good also. Women LEAD: What advice do you have for youth interested in getting involved with service projects? Michele Lai: I would say, if you have an idea and believe that it has social good, then be determined to try and follow through. Don’t give up too easily. Many people have ideas, but not many can put their ideas into action.